Fig season has come ! 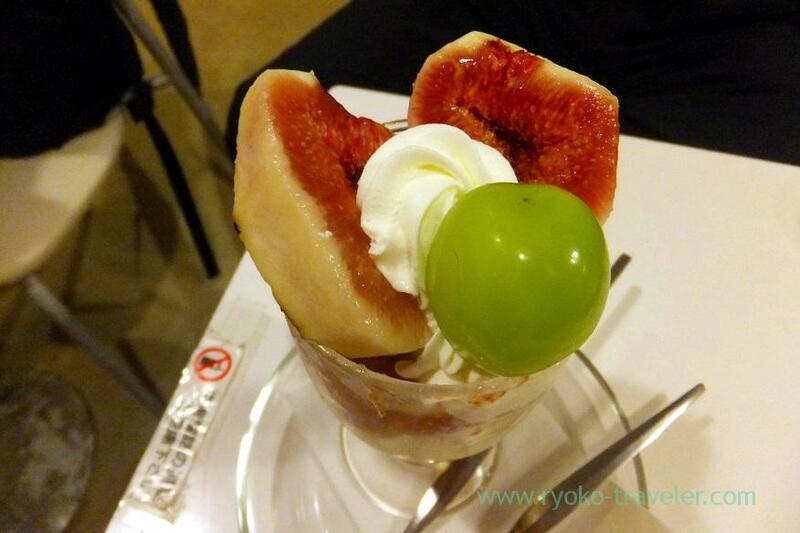 Fukunaga Fruits Parlor has started serving fig parfait on this season, too. Fig season is very short, and in addition, because of several typhoons’ attack, fig crop is poor this year. 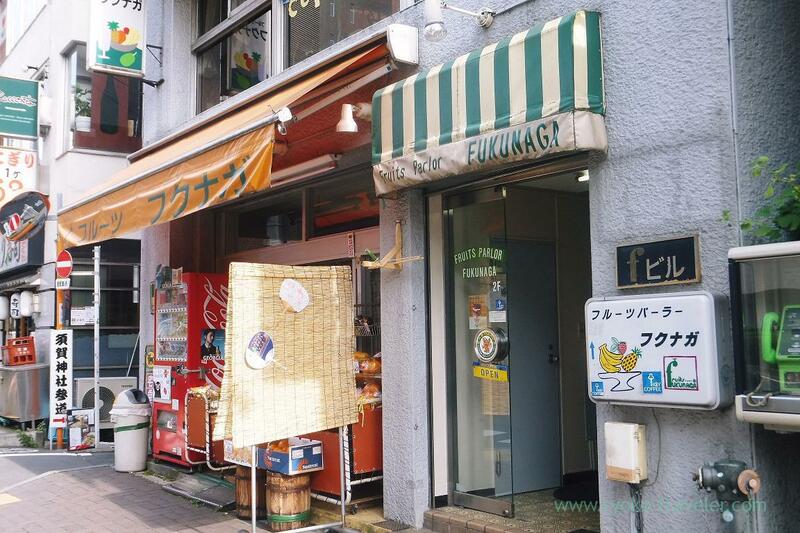 So, it’s precious opportunity to have fig at Fukunaga. 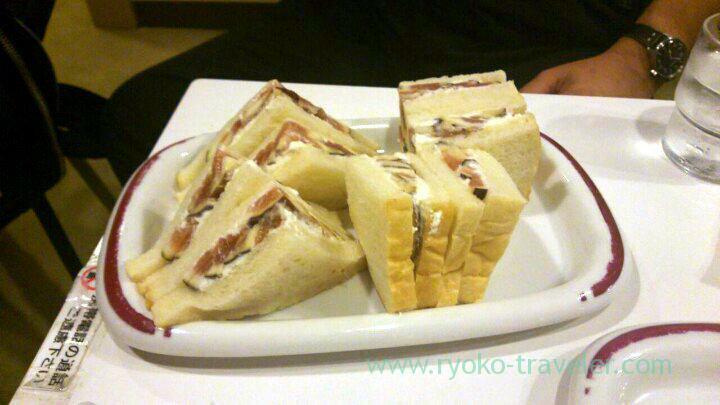 And Fukunaga serve fig sandwich this year in special. They didn’t serve it last year. 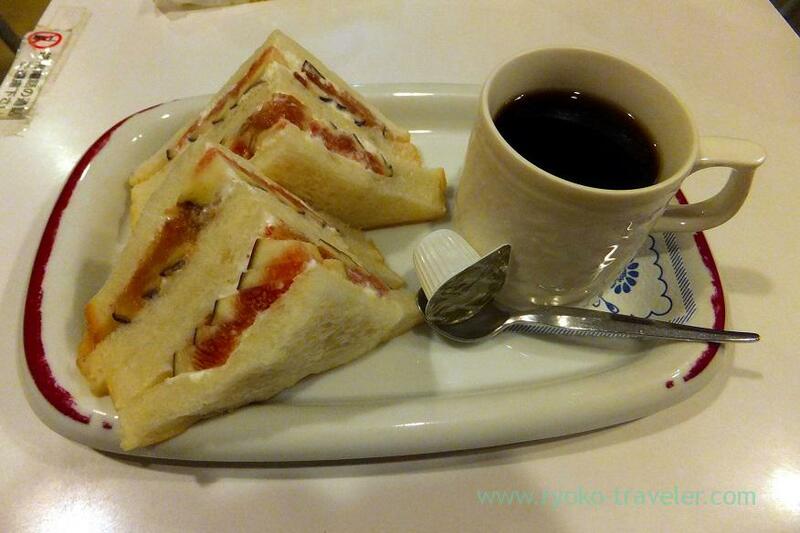 Half portion of fig sandwich and one drink set (いちじくサンドハーフセット) is 650 yen. Fig, whipped cream and bread. And cinnamon. That’s all. Unexpectedly cinnamon went with fig well. Of course, they serve this sandwich without cinnamon for people who don’t like cinnamon. 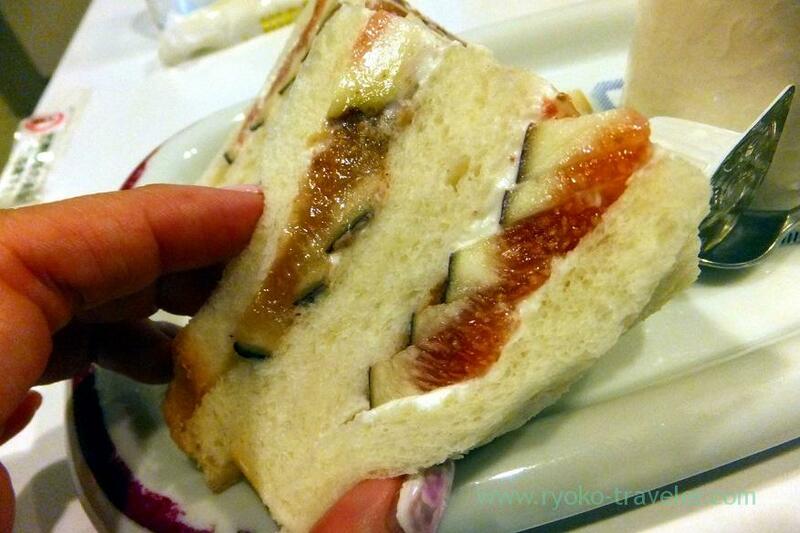 Full portion of fig sandwich is 900 yen. 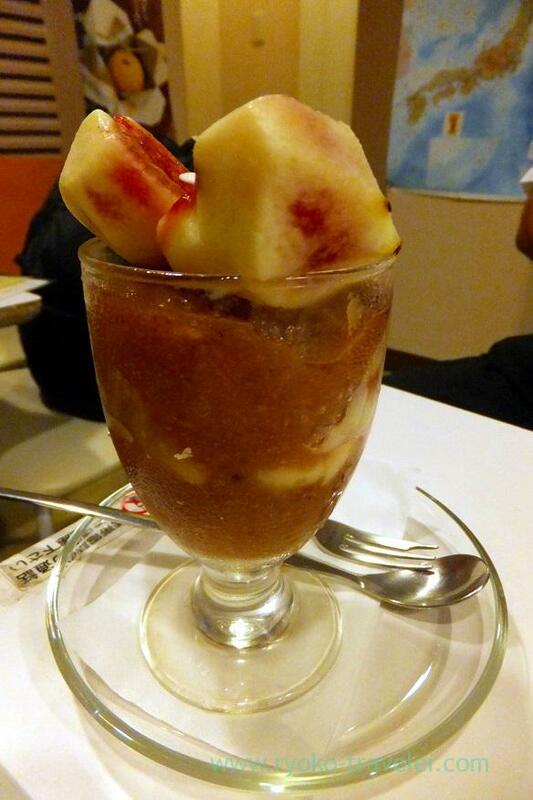 Of course, Fig parfait (いちじくパフェ) 900 yen is delicious as usual. The green thing is Shine Muscat (a kind of muscat). Fig season is only more one or two weeks in Fukunaga. And they often run out of bread at earlier time on weekends. So, you have to hurry if you don’t want to miss out.